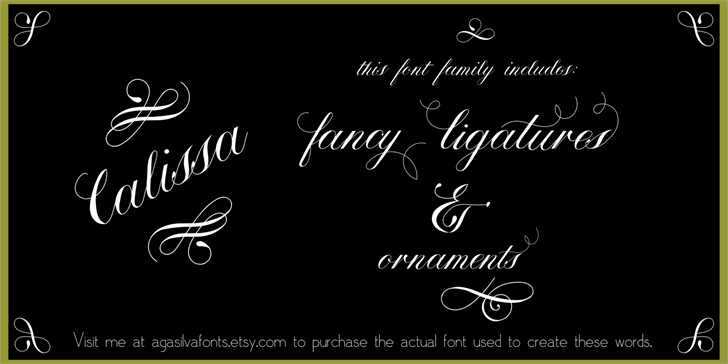 For Pro version of this font visit me at Etsy http://etsy.me/14dGQvH or Myfonts http://myfonts.us/xwEjG1 or Fontspirng http://www.fontspring.com/fonts/aga-silva-fonts/calissa-pro . 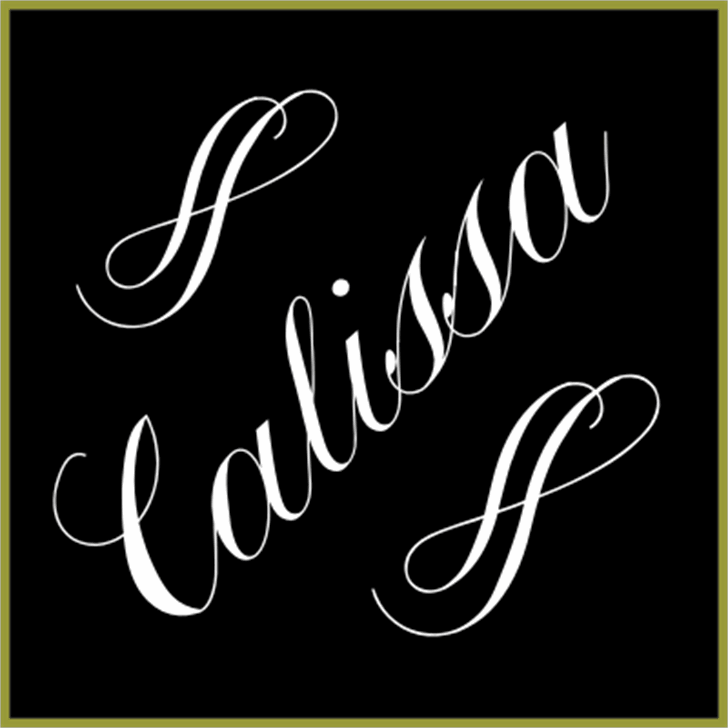 This font looks like it would be good, but is totally useless, you can't type what you want, every letter pops out a whole word. It's ridiculous! Why would I ever need this? 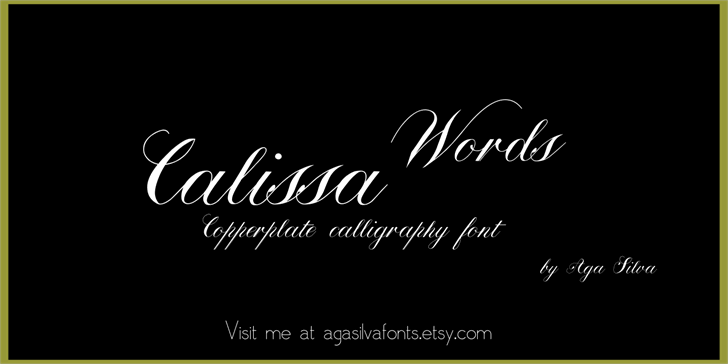 Calissa Words ® is a Trademark of AgaSilva.